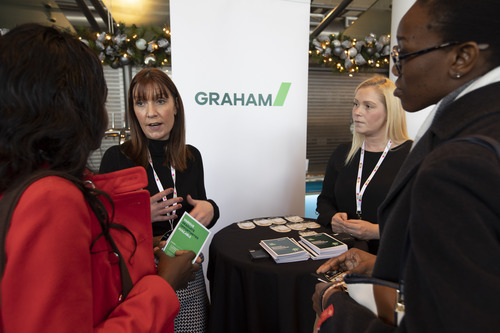 GRAHAM is a privately owned contractor, delivering civil engineering, building, interior fit-out and facilities management projects across the UK and Ireland. Our work connects communities, builds a better future and transforms and maintains the places where we live, work and relax. Energised by growth, we remain deeply ambitious and focussed on 'delivering lasting impact’. In order to continue to deliver successful projects, we invest heavily in our graduate and student programmes to ensure we develop the next generation of leaders.